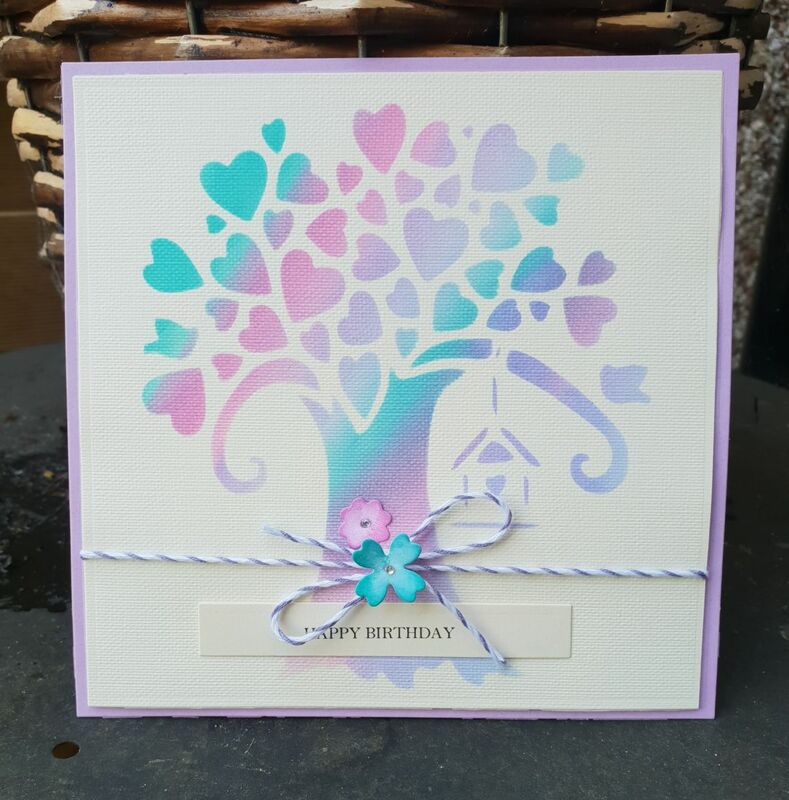 The card is created with PMD Ivory Hopsack Card, Distress Oxide Inks (Shaded Lilac, Picked Raspberry and Peacock Feathers) and Tree Stencil designed by Tina Ashton Art. 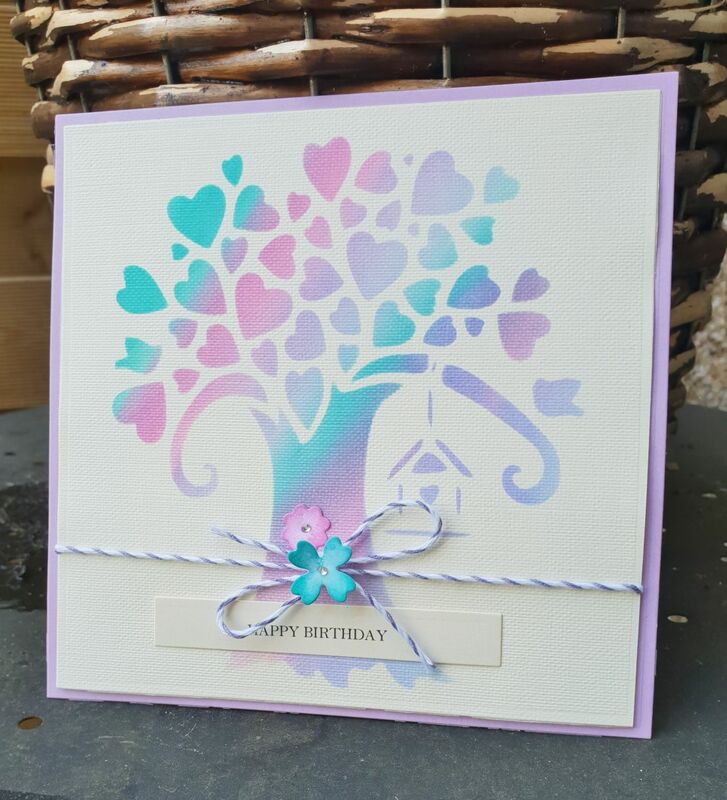 The matting and finishing touch, the flower and leaf, are Spellbinders die. Lovely card and video Christine , you make it look so easy .